On Friday 23rd Sept 2016 there is an opportunity for some of our youth riders to showcase their skills whilst having some fun at Belle Vue Speedway track. At their National League event, Belle Vue Aces have invited local cycle speedway clubs to ride the track in an inter club competition and also want to hold 2 junior races on the track for cyclocross riders. This would involve 2 age groups of riders with 6 riders per race in a track stand start (similar to the Velodrome longest lap race) before the tape goes up and a one lap race on the Speedway track. If there’s enough time and an interval they may hold a second set of races. Riders and parents would get free entry into the event and riders would need to bring their own cyclocross bikes. They would need to be available at the track for a briefing at 6.30pm before racing from 7pm. This is the first time they have done this but sounds like an exciting opportunity and great evening out. Please contact info@nwcca.org.uk putting Speedway in the subject line if you/your child is interested in participating, including their name, age, category, club, contact number in the email. Depending on the number and ages of riders interested we may not be able to accommodate everyone this time but should it be a success I am sure there will be more opportunities in the future. 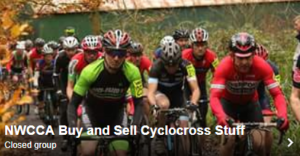 ‹ A reminder about signing on to ride cyclocross races.